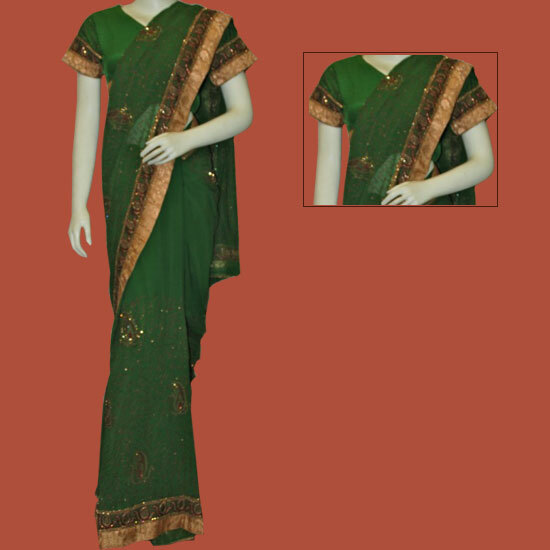 saree in dark green color with brocade border & thread work as a second border. 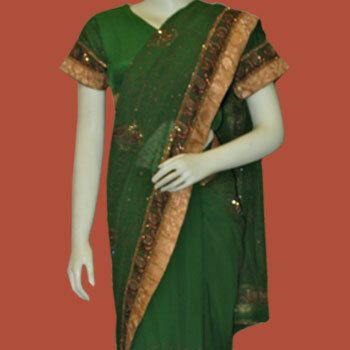 A graceful saree in dark green color with double border & all over thread work with sequins and beads. Comes with readymade matching blouse. The neck of the blousehas an antique colored tissue piping & a double border gor sleeves which gives it an excellent traditional as well as classy look.